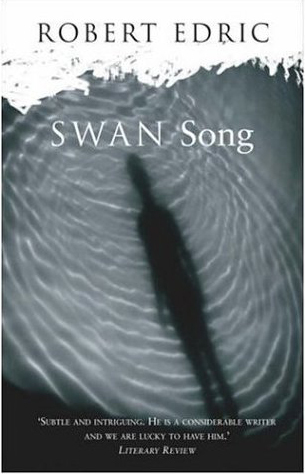 This is the final part of a crime trilogy, following on from CRADLE SONG and SIREN SONG. Leo River's Hull based private investigator is approached via a friend to work for Susan Hendry who is the mother of a man, a known drug addict, who is in a coma after being found, having broken into his doctor's surgery, with a half emptied syringe still hanging from his arm. Susan Hendry's son Paul is also suspected of killing his girlfriend Lucy who was found stabbed to death in their apartment. This killing is linked by the police to several similar deaths in the city, also of young women. Two of these women, Lucy and another, are known prostitutes. Heading the police investigation is a recently appointed Chief Superintendent Alexander Lister, who is ambitious for promotion. He is determined to have a zero tolerance campaign against prostitution and drugs and is assisted by Detective Sergeant Brownlow who is an old adversary of Rivers, and his two friends from the News Agency, Yvonne and Sunny. Because of the three murders a Detective Inspector Andrew Mitchell from National Crime a London based unit has been seconded to Hull along with a profiler - Ruth McKenzie. In soon becomes clear that there could be a serial killer on the Hull streets. This together with the vanished fishing industry sets the scene for an engrossing novel. The author is better known for his historical novels and the three "song" books may be his only foray into the detective genre. The book is well written and keeps your interest throughout. I did find Rivers relationship with Mitchell and McKenzie to be lacking in credibility. Why would the police seek out and keep him involved in the continuing investigation? The ending whilst it is well worked is also incredible! However I would definitely recommend this book, I do hope Mr Edric does return to crime writing, but if he does I hope he changes his deliberate policy of only briefly sketching his main character, I believe you need to see their private life as well as their working one.